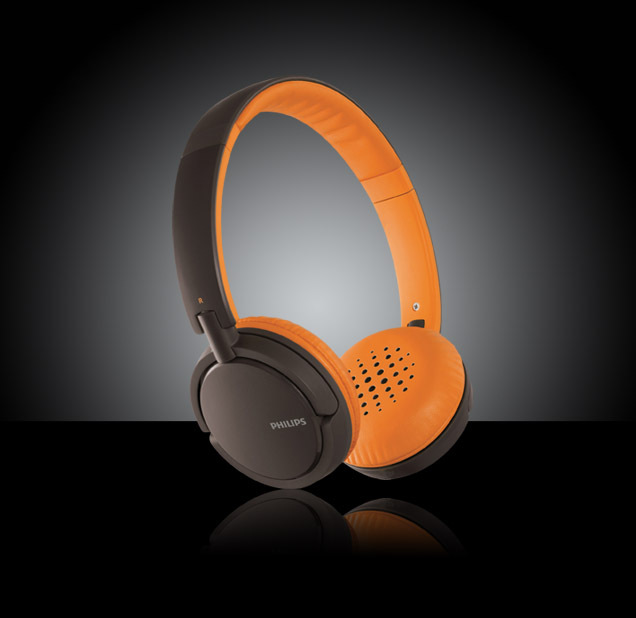 Philips SHL5001/28 On Ear Headphones - Orange, are designed especially for you to enjoy your music everywhere you go. The soft cushions allow you to keep on listerning to your favourite tracks. The great sound quality gives you a new listening experience. Super Comfortable, You Will Not Feel Them! • Flexible headband creates a complete compatibility for maximum comfort. comfort and durability of the headphones. favorite music for a long time with great pleasure. • Perfect sealing against external noise creates superb music experience. any use and especially for outdoor use. 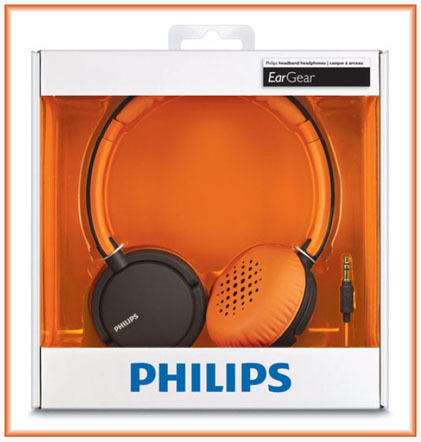 • The Philips SHL5001 Headphones folds flat for easy storing and carrying. 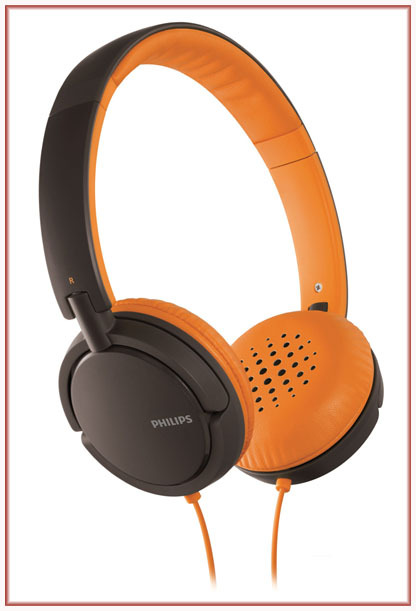 Philips SHL5001/10 Headphones - Orange are special production of Philips Laboratories. In these headphones you will find the highest technology available. These headphones produce superb music experience, with accurate, detailed sound. Philips SHL5001 On Ear headband is made ​​of special materials, light, flexible and highly durable. The SHL5001 Headband is very light weight which creates maximum comfort and high survivability of the headphones. The SHL5001 cable is 1.2 meters in length, the best length, according to studies. You can use SHL5001/10 headphones for any use and put the player anywhere near you. The SHL5001 has special soft leather cushions which are gentle and airiness. These soft cushions allow comfortable long listening to your favorite music as much as you want without feeling the headphones on your head. The Philips SHL5001 cushions are designed to create a perfect sealing of the surrounding external noise. By the flexibility of the headband theses headphones creates the perfect sealing. The headphones that appear in the video are the red model which is the same as the orange, except the color.